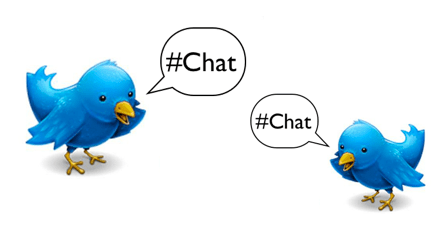 Twitter chats can be a beneficial tool for businesses and corporations. They can also be used to promote TV shows and movies. Twitter chats are very interactive.It is a live chat on Twitter where people can include a hashtag in their tweets to discuss a topic. During the Twitter chat a host from the company tweets questions using hashtags, and guests tweet responses with the same hashtag. The people participating in the chat can search the hashtag to find the discussion and ask questions, comment, and re-tweet. There are four ways to have a successful Twitter chat. Make sure that you prepare what you want to discuss in the Twitter Chat. Make sure that you are being clear and using strategic hashtags. 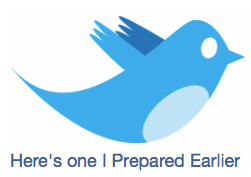 You also have to be prepared to answer any questions that someone may Tweet. You have to plan how you will respond to people in a professional manner. You have to make sure you focus on what the guests want to discuss. Be sure to answer as many questions as you can. Being organized is very important when hosting a Twitter chat. The chat will move very quickly so it is important that you are organized and on top of all of the Tweets that you will get. A huge aspect of being organized and prepared is to use the right tools. The right tool that you could use is TweetDeck. TweetDeck is a platform that helps you monitor Tweets, @mentions, direct messages, and search for the hashtag. Use short and creative hashtags. Using short and creative hashtags are strategic because it is easy to remember and is quick and easy for people to type. They will be able to interact with the chat quickly. A creative hashtag will get people’s attention and make the Twitter chat fun. It can also bring awareness to your company and brand. Use @ mentions to respond to a question or comment by typing “@” and the person’s screen name. Typing fast is crucial when it comes to Twitter chats. People will be using your hashtag and @mentioning you very quickly. You have to be able to keep up, but don’t forget to read your tweet before you hit send.